Green screen is not anything new, it has been around since the 1930's. 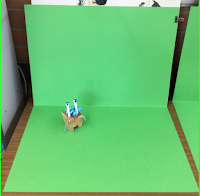 Green screen technology has also been available to a mainstream audience for a while now, pretty much since iPhones and iPads came on to the market. 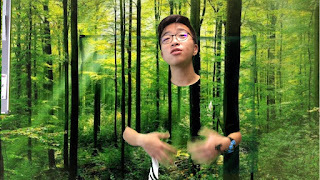 there are a myriad of apps and techniques for creating your own Green Screen Movie effects. There is also movie making software like iMovie and Windows Movie Maker that you can use for Green Screen effects. There are thousands of teachers and students using green screen techniques all around the world every day. It is pretty easy and has lots of opportunities for innovative classroom use. You will probably want a screen! Last week I did a quick Teach Meet session on innovative ways to use Green Screen in your classroom. 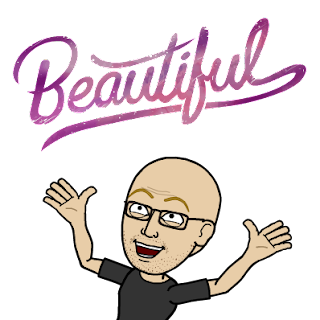 For me Innovation in education as not just doing new or different things, but doing new things that add value to the learning experience. Putting green material or a green plate on the floor to make a portal to another world or a massive volcano in the middle of the classroom. 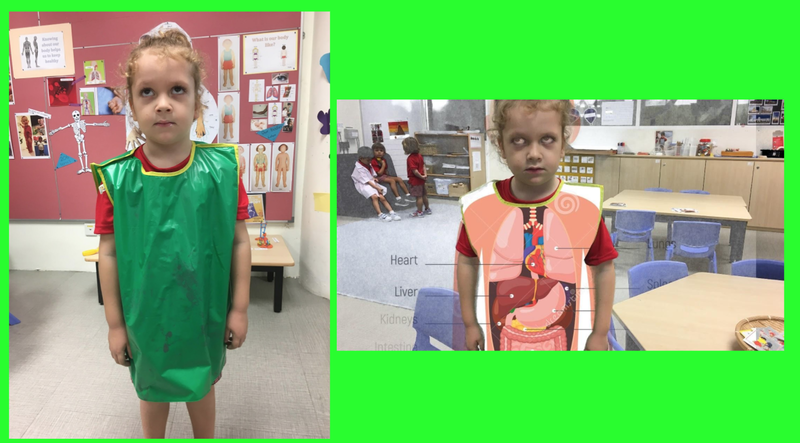 Having students wear green clothes or wrapping green material around themselves to disappear, be a floating head or adding their face to an animal body. You can also do some pretty cool ghost pranks with this effect. 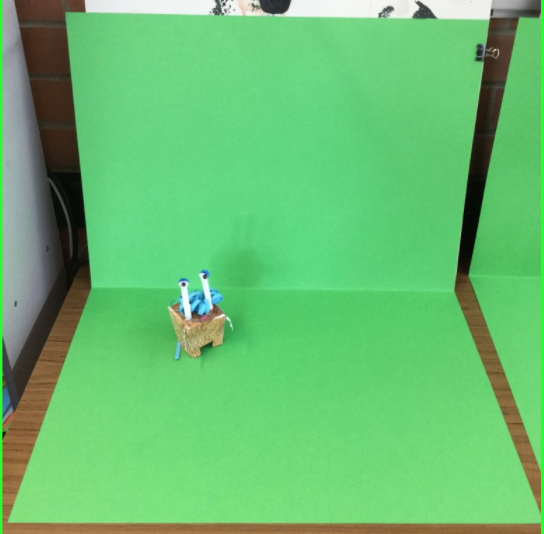 Students can also use apps like Explain Everything, Tellagami or even Keynote to create animations with a green background, which they can then add to a Green Screen Video. That way they can interact with cartoon objects just like in "Who Framed Roger Rabbit"
If you are lucky enough to have a drone and a green field / oval you can create some cool effects, you could have your class standing on an ice berg or standing in the middle of the dessert. 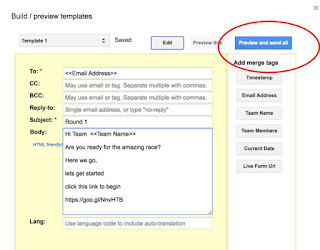 That way I get to collect all the email addresses and team names. 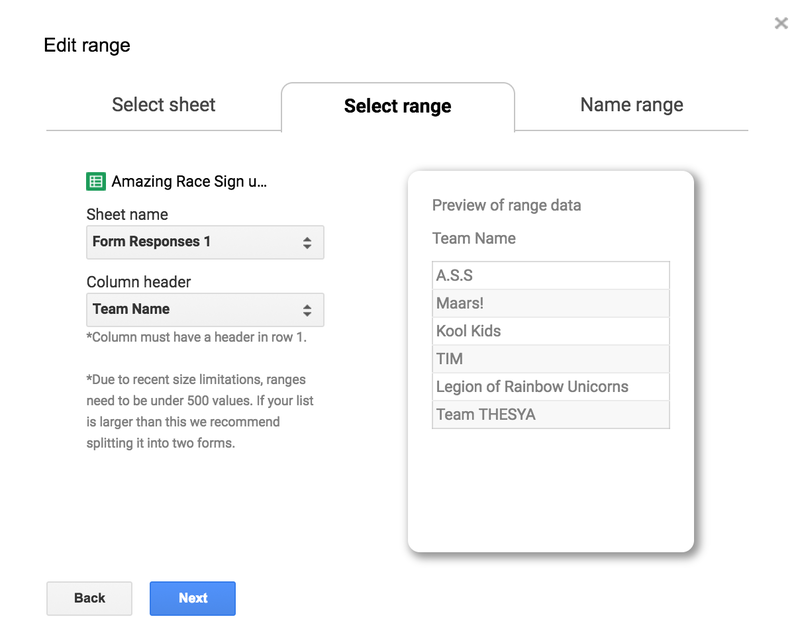 I could then go to each Google Form (6 of them) and add the teams names as a drop down menu or I could automate this using Form Ranger. 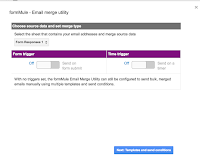 I prefer to automate this so I use the Form Ranger add on, Form Ranger allows you populate questions on a Google Form from a column (range) on a Google Sheet. 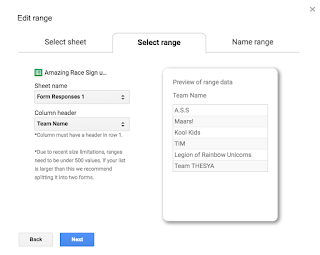 I used the column 'Team name' from the sign up sheet as the data source for the team name drop down question on each of the 6 Google sheets. 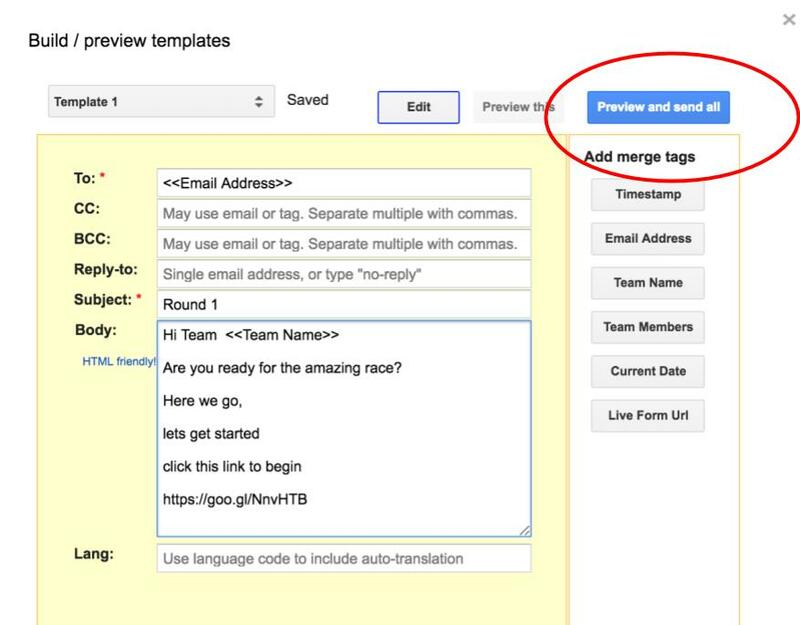 You can set up Form Ranger to refresh the questions on form submit or every hour, the problem is that I want the form to be refreshed as soon as the Amazing Race starts. To do this I need to go into each form and just start the Form Ranger Add on and the questions are populated (you occasionally may have to use the refresh button). I have a copy of each question form open in a tab and then just go from tab to tab and start the Form Ranger Add on. 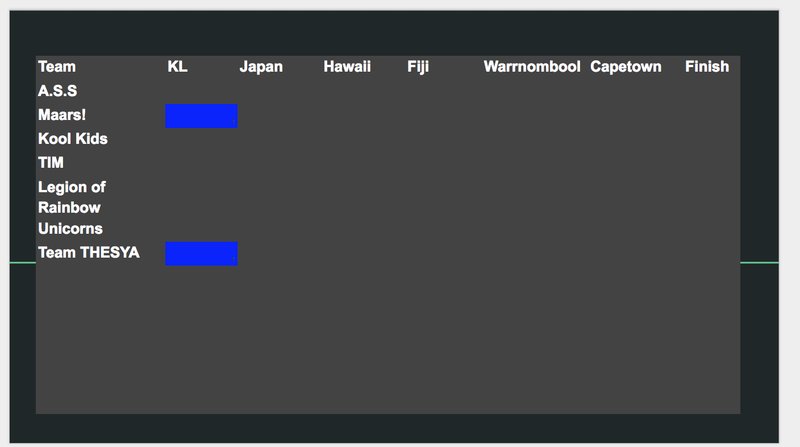 This might seem like a hassle but it is much easier than updating the question as a drop down myself. I do this as soon as the race starts when the teams are sharing their chants. Once you have done this (and started the race), everything else runs itself. 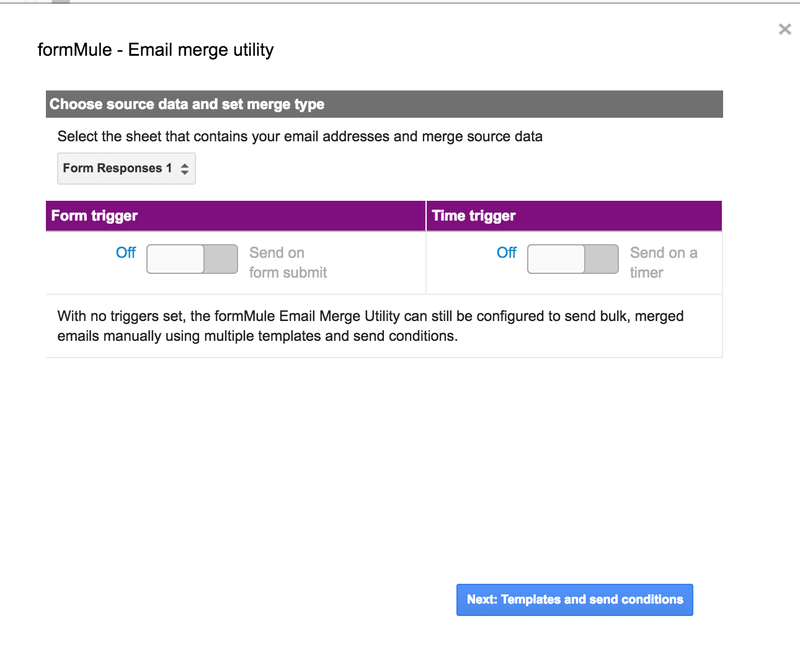 To send the emails (and start the race), I use the Form Mule Sheets add on. Form Mule allows you to send personalised emails either in bulk or when a form is submitted (automagically). 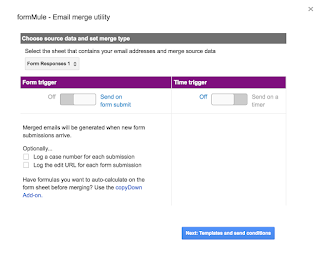 For the first form (sign up) I want to send the email all at once (when the race starts) for all the other sheet I want the emails to be sent as soon as the form with the task evidence is submitted. 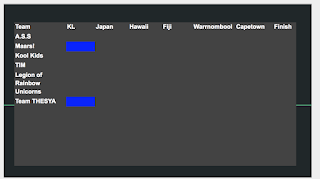 Once I preview and send to all, each team gets their first email with a link to their first MyMap. 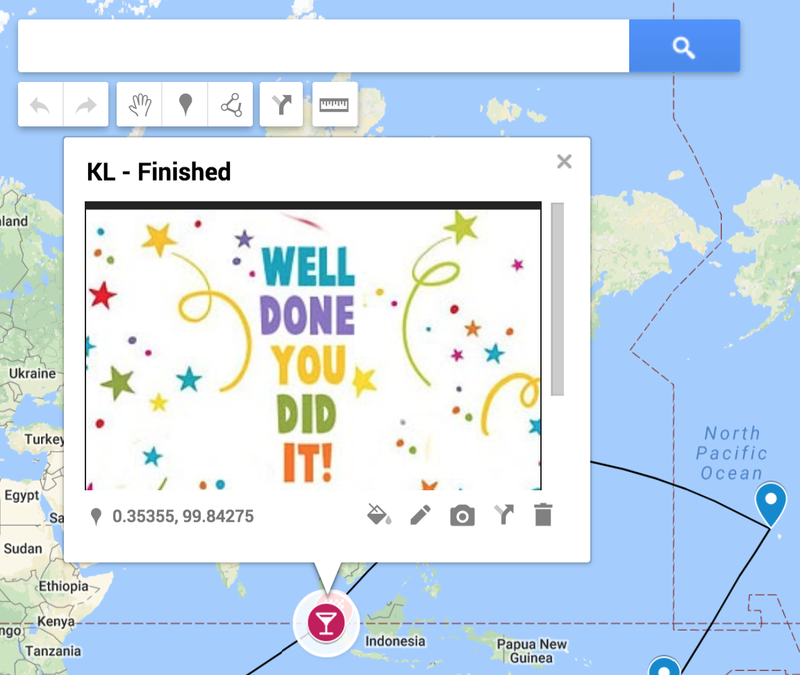 Google MyMaps look cool (like an Amazing Race route) and are pretty easy to make. I added different icons in different colours and lines to show the route. 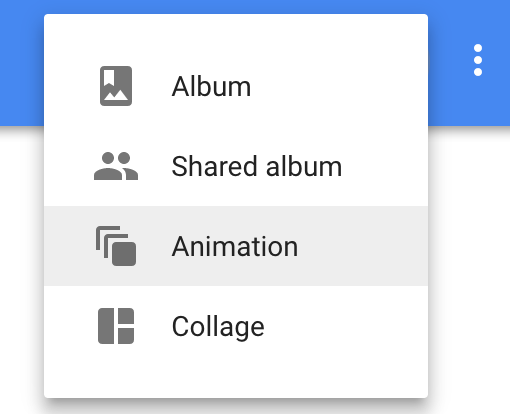 The tasks are markers in the Map You can add Youtube videos, images, links to Google Docs, Forms or drawings, in fact you can add links to pretty much anything you want the participants to do. The tasks can be anything really, depending on your subject area. 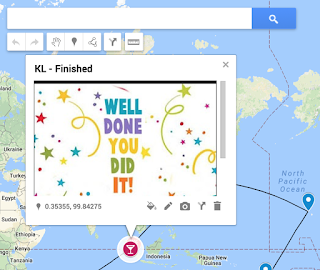 In this Amazing Race I made each task a skill or tip on how to make your own Amazing Race. 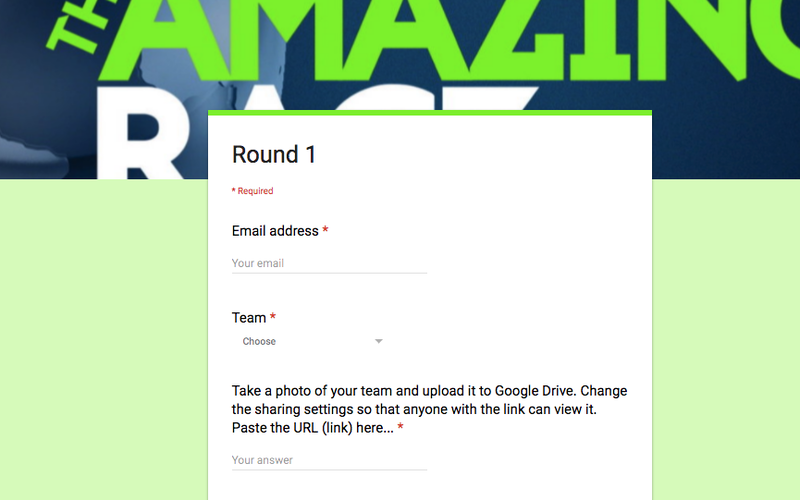 Each task needed evidence (a link to a Google drive resource, uploaded file ) or correct answers to questions before the team could proceed. 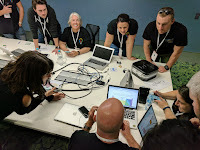 Each MyMap task had a link to a Google Form (often extra instructions and videos are added to the form) where the participants had to complete or add their evidence. That way as soon as team completed the task, they were sent the next task. This continued until they had completed all the tasks and were sent the last Email / Congratulations video. In the past I have had a team of scorers who keep an eye on the google sheets when the answers come in and give each teams points depending on the quality of their answer. This is a great way to do it if you have the person power available. Usually I have another Google Sheet linked to the spreadsheet that has a running total / grid of each teams score. Students are great as scorers and it is always fun to give the students some power over the teachers. I didn't have the helpers so I wanted to make the scoring automatic and simple, I just wanted a visual representation of where each team was on their journey. That way we could make it a bit more competitive and get some energy flowing. This ended up being harder that I thought. I started by adding some extra sheets (tabs) to the sign up sheet one for score total and one for each task. I then used the Import Range Function to import the responses from all the sheets into this one sheet. I then needed some way to determine / record if a particular team name appeared in a sheet. i.e. I want a cell (next to their name) in the scores sheet to show a number 1 if the team name Kool Kids appears anywhere in the sheet "KL". Their name will only appear if the team has completed the task. I tried a few things, but finally Jay Atwood came to my rescue the day before I was due to present. That way I get a nice blue visualisation of where each team is at during the race. 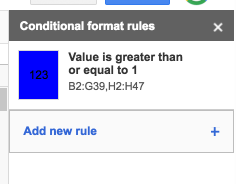 To insert the sheet into your Google Slide it is as easy as copying the cells you want to be seen and then pasting them on the slide. 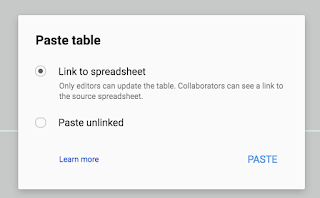 You will be provided with an option to link to the spreadsheet. If only Google slides had the ability to auto refresh an embedded spreadsheet, that would be great. At the moment I need to manually press the refresh button. It works and it will have to do for now. 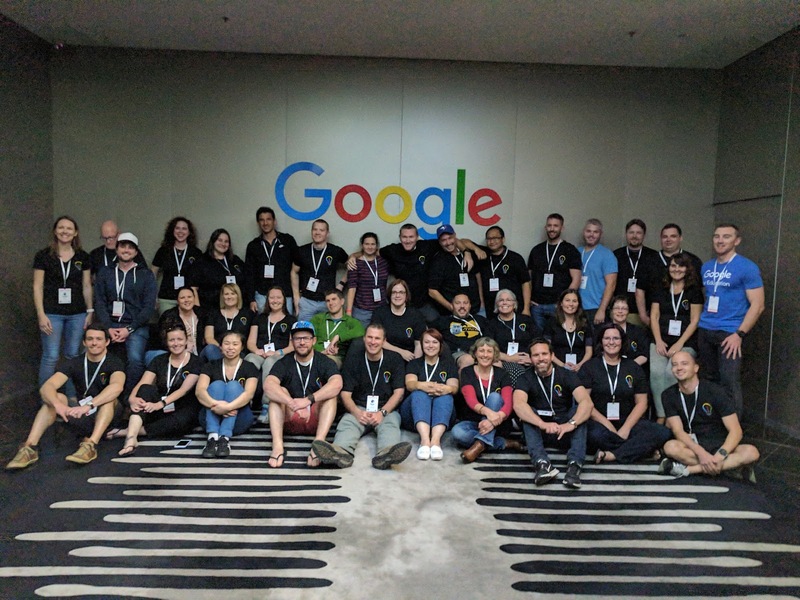 I would love to hear about other Google Amazing Race's people have created. 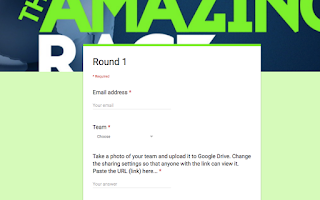 Last year I blogged about my staff Google Amazing Race here. Reading over it now, I noticed it is a bit light on detail and for my KL Summit version I added a few extra features. With this in mind I thought it might be time for a more detailed explanation and an update on how it could be used. 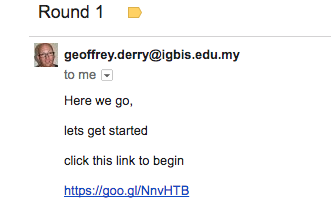 To start the race I pressed the magic button in Form Mule and the first email was sent out to each team. This continued (with live updates via the slideshow) until everyone (or at least one team) completed the race. I played music, walked around giving hints, took photos and just had lots of fun. I also had some student helpers who actually joined some of the teams and added an extra element to the experience. The whole thing was high energy, fun and some people even learned some things. All of the tasks were skills, apps or hints on how the participants could make their own amazing race. 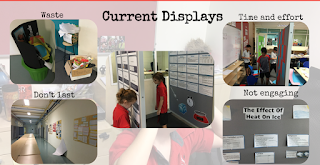 "will definitely do an amazing race activity for a summative in grade 4 and will also look into creating one of these for new staff orientation." So how did I create all this mayhem and fun? See this blog post for all the details. 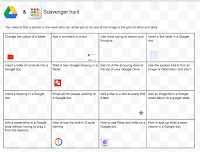 In grade 6 a couple of weeks ago, we did this scavenger hunt. 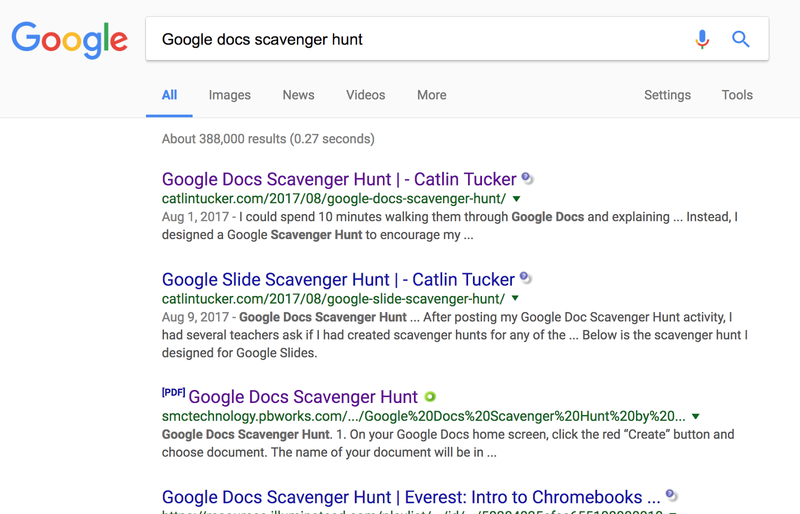 Whenever I think of an idea for an activity, I always go to Google it to see if anyone has already created one that I could use. 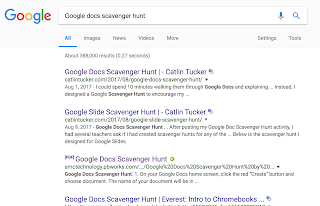 I found this Google Doc's Scavenger Hunt by Catlin Tucker. 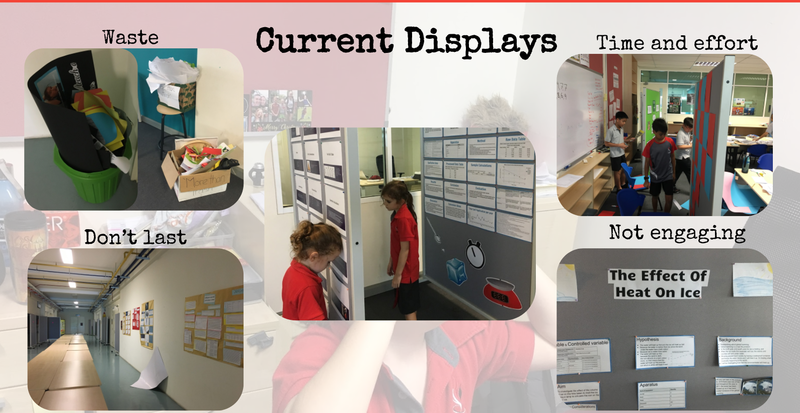 But it wasn't exactly what I wanted, I wanted the kids getting up, moving around and learning together rather than sitting at their laptops. I found a few others but they were all a bit 'sit at your computer and do this', So I had to create my own. 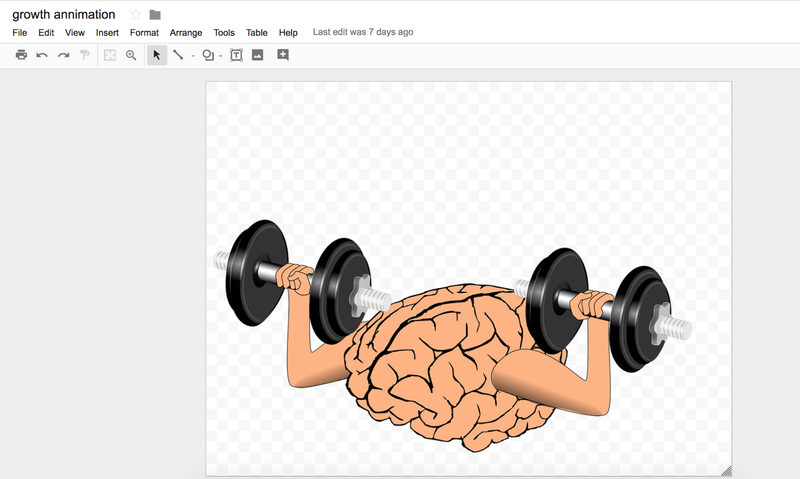 I used Google drawings and just stole a few ideas and developed some of my own for the tasks. It was a collaborative activity / lesson / activity. The students had to find someone else in the room who could do the task on the square (even if they already knew how to do it). Then that person had to show them how to do it. e.g. if the task was "use voice typing to record your thoughts" someone in the class had to show you on their computer how to do it (not just tell you they could do it). The students then wrote the name of the student who showed them. If no one in the class knew how to do it, the kids could research (google it) or just play until they worked it out. If the students knew how to do something but no one else did, they had to show someone, then the person they just showed had to demonstrate the skill. "Do you know how to do this?" "Arlo knows how to do, why don't you ask her to show you"
"Who did you get to show you how to use the built in Google training?" 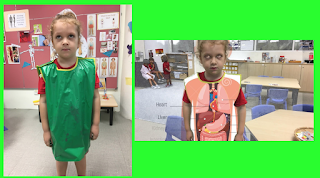 It was really powerful to hear lots of oohhhs and ahhhhs as students learnt a new skill or hint (they loved voice typing) and the energy in the room was super high. Much better than walking past a classroom with everyone with their heads down in computers and no human to human interaction. 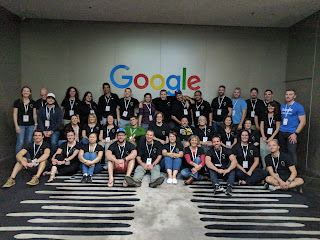 One of the big takeaways was that there are lots of other people in our class that can help us with technology (and it is OK to ask them for help). The students were given explicit permission to ask each other for help and told that the teachers would also be asking them for help. We are now thinking of other ways we can use this concept with other tools and apps. 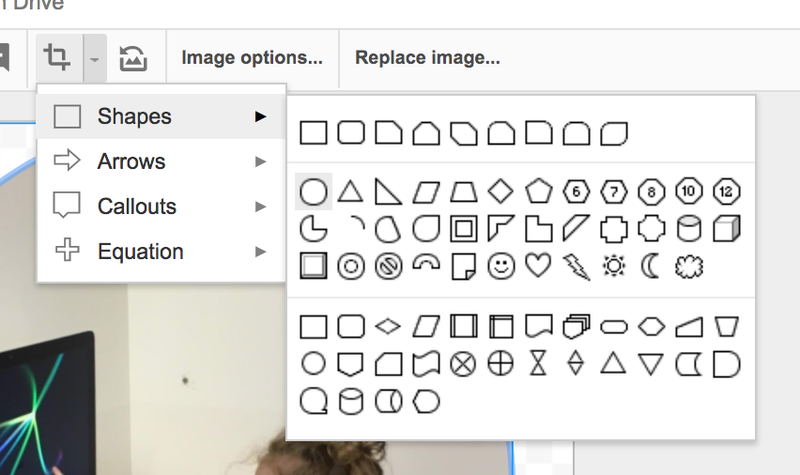 Use Google Drawings to make your own Google Sites buttons / icons. 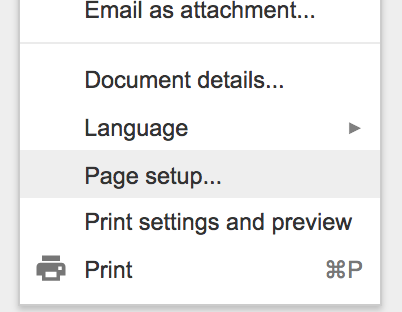 You can then drag and drop the icon on to your Google Site to upload it. 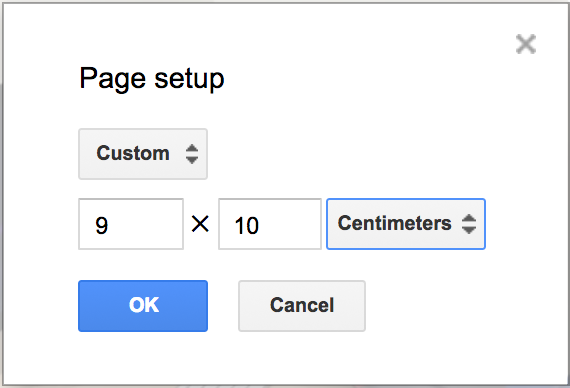 When you start resizing images Google sites will often crop them for you, which can be annoying. You can use the uncrop button to instantly remove the cropping. 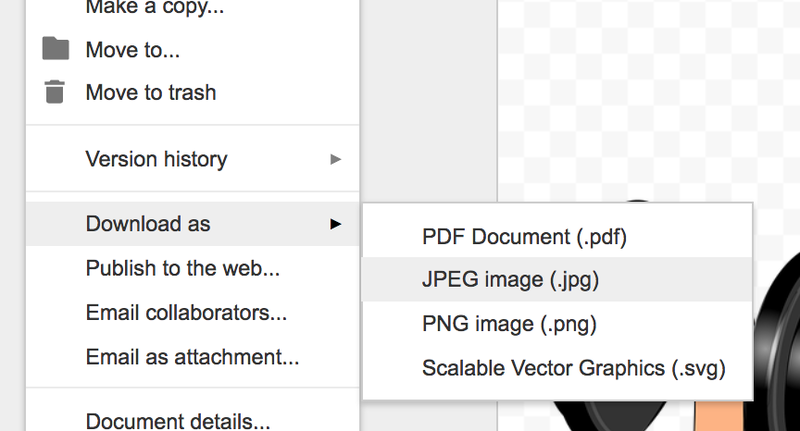 Then link the icon to another page in your site or an external website. 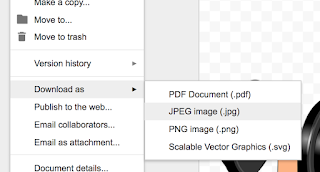 The good thing about using replace image is that it keeps all the dimensions and settings of your original icon. 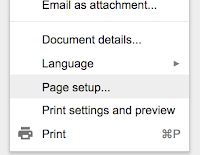 You can then change your text, download your new icon and add it to your Google Site. The workflow is pretty seamless and can be very quick. 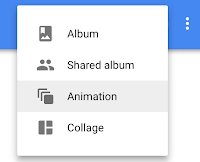 You could also add the drawing directly via 'insert from Drive', if you use this option you can't link from the inserted drawing, you would need to add your hyperlink into your Google Drawing and also copy the Google drawing to make more than one icon. 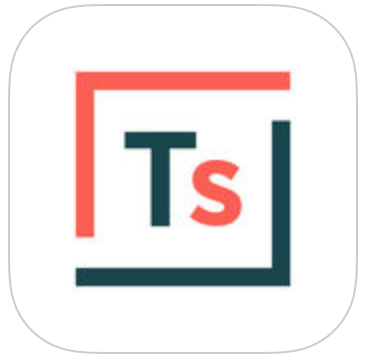 I think the download as a png is a cleaner workflow. 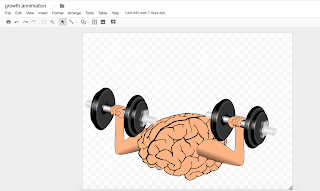 The other day while working with some teachers we explored and started playing with using Google Drawings and photos so that students could create their own animations. Sure there are plenty of ways for students to create their own animated gifs but we thought it would be cool to try and do it Googley and it might be a bit easier than trying to use Scratch or something else. 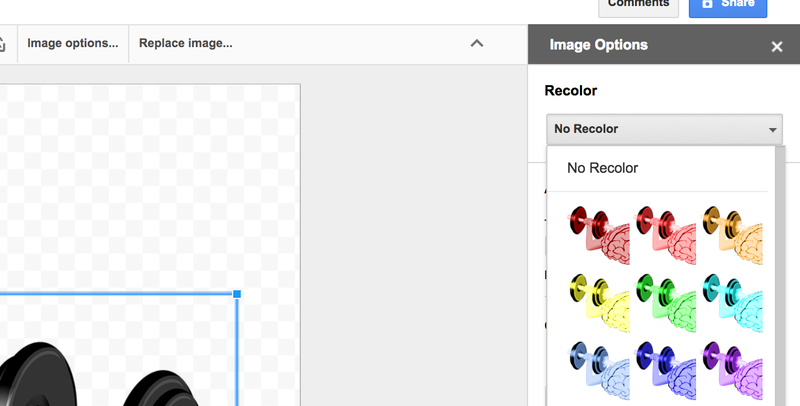 Then we went back to our Google Drawing and made a slight change to create our next frame. 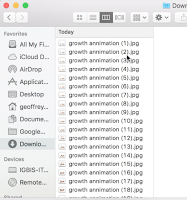 this continued until we had created all our frames for our animation. 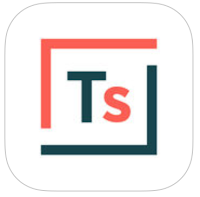 To make the text boxes uniform, we first created one and set it up how we wanted, then we cut it, made a few changes / download jpeg / change etc and then pasted the text box back and changed the text. This was quicker than trying to remember the formatting and setting up up every time. With a bit of creativity, you can make some really cool effects, even something as simple as moving objects to the back can make a huge difference. Once all our frames were downloaded, they were conveniently saved and renumbered in our downloads folder. To create our Gif, we dragged them into Google Photos on a Chrome browser to upload. 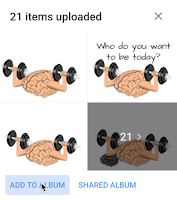 Once images are uploaded you get the option to create a new album, which we did. 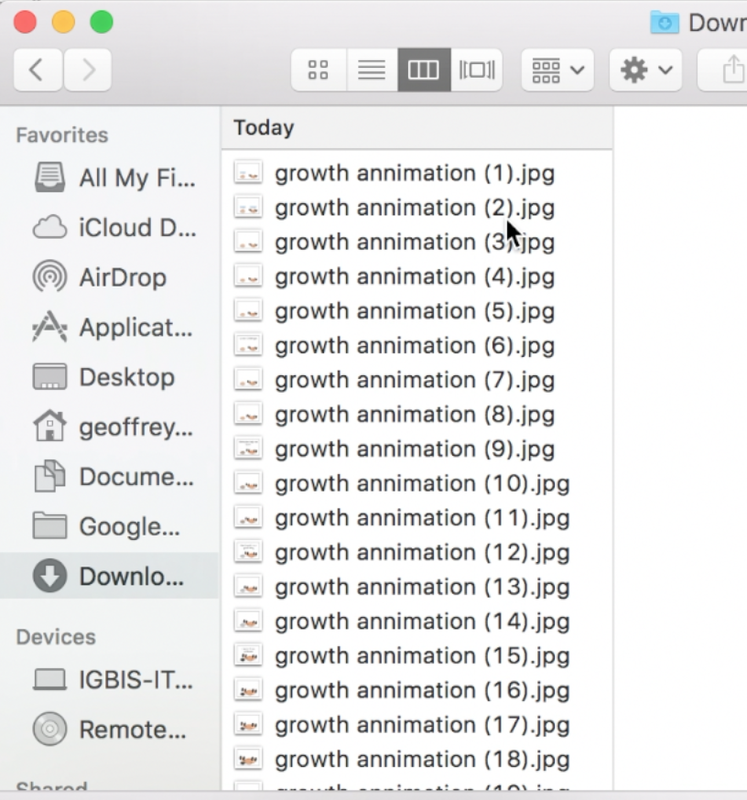 A new animation / Gif is created. Once you have done it a few times, it is pretty easy and you can get really fast at it. The animation in this video took less than 10 minutes from start to finish. 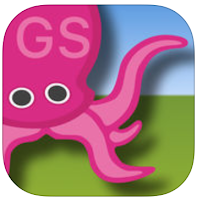 Have a go, or even better let your students have a go and get them creating. It was lots of fun and the kids got the idea that all movies / animations are just a series of still images running together.